In The Big Burger Book, we strive to demonstrate all the ways you can have the full spectrum of burger deliciousness right at home. 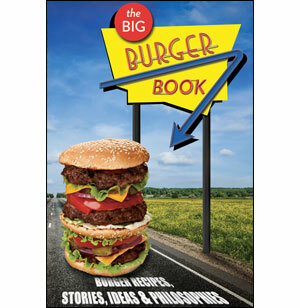 Cooking for yourself, family or friends, this book will raise you to the highest levels of burger greatness, and both your and your "customer's" palate will love you for it. It's important to remember that a hamburger can have any combination of condiments you can think up, but the most important part of a hamburger is the actual patty. Whether you are making a classic all-beef burger, mixed meats, or even a vegetarian patty, you should always make sure that the patty is your main focus.